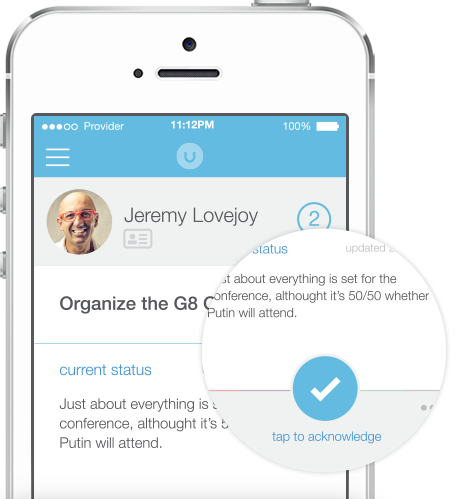 Launched in May 2014, UpdateZen gives executives and managers visibility into the status of everything important their people are working on, eliminating dreaded status e-mails and cumbersome spreadsheets/documents. As hire #1, I was head of engineering at this early-stage startup, and the sole iOS developer. We first built the backend on Parse, then moved to Heroku + Node.js + Postgres. No singletons. Instead, controllers are given all the external dependencies they needs to do their job, such as settings or the data store. I use an awesome library called BloodMagic for dependency injection. Uses my custom NSURLConnection+Retry category for easy network request retries. 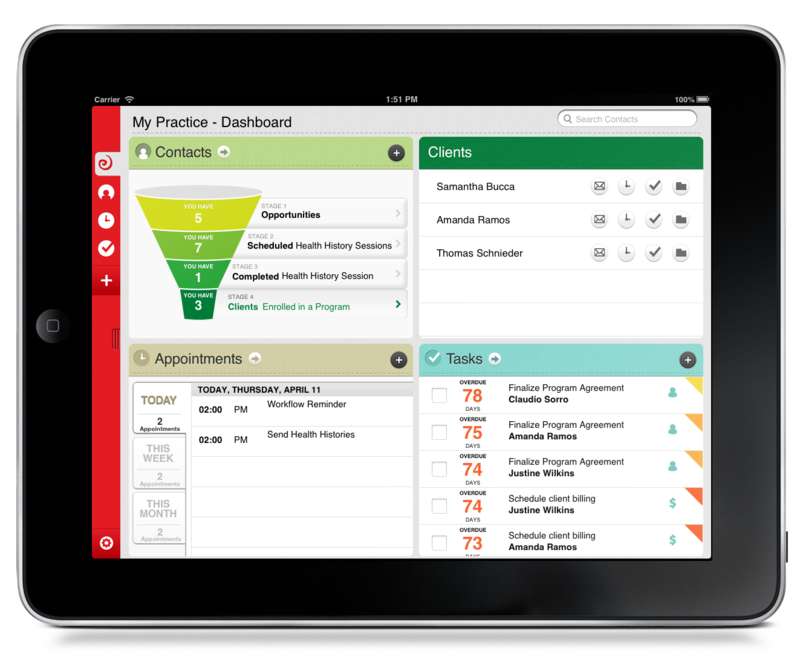 Guided development of new CRM iPad app for students to manage their own health coaching practices, from lead capture to client management. WCF backend API with JSON and XML REST endpoints. Multiple integration points with core .NET business platform using SOAP. 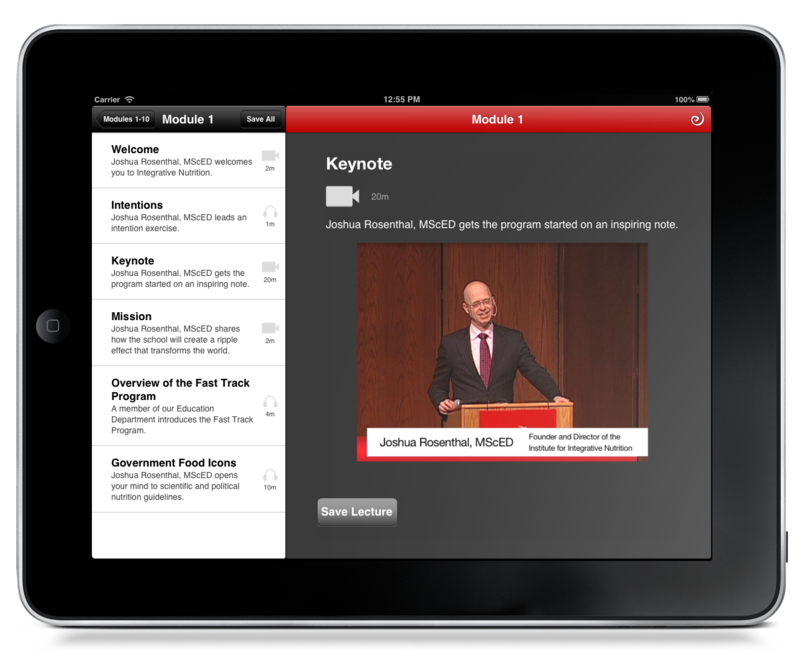 Maintained and updated Universal iOS app that delivers encrypted audio, video, and supplemental content to students using HTTP Live Streaming (HLS) from Amazon S3 and Cloudfront CDN. Interfaces with core .NET business platform using SOAP. Developed new iPhone 4S app that connects to a Mobilogics iScan hardware laser scanner via the iPhone dock connector. Communicates with backend JSON REST API. Search by barcode, ticket number, or last name. Prevents duplicate entry. Internal staff distribution only. 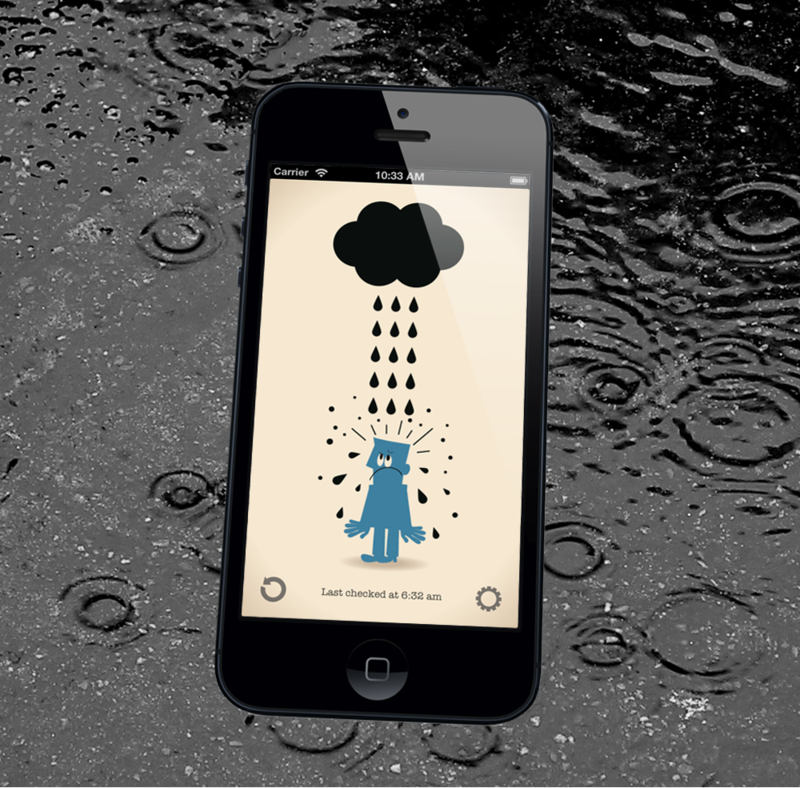 Developed new iPhone 5 app that communicates with the NOAA National Weather Service for precipitation data using SOAP XML API. 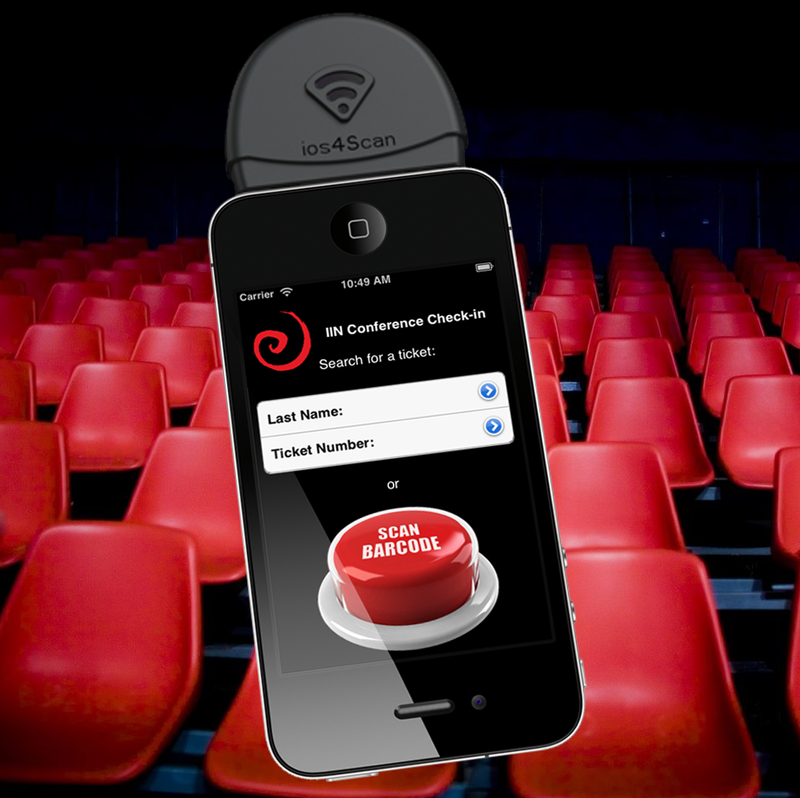 Future version will supply push notifications at designated times. Maintained and extended staff control panel for 150+ employees. 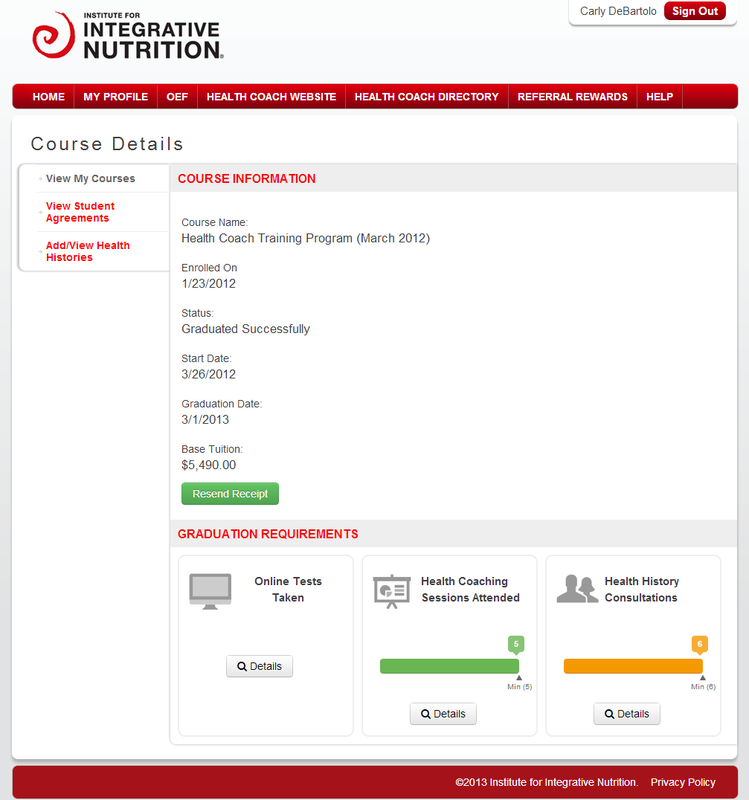 Manages all mission-critical business operations including enrollment management and revenue processing. Multiple integration points with Salesforce, Authorize.net, Moodle, Amiando. Service layer exposed over SOAP. Maintained and extended student portal for 40,000+ global students and alumni for course, tuition, and profile management. SSO to other web properties. Multiple integration points with Salesforce, Authorize.net, Moodle, Amiando. Intranet application to enforce business rules and workflows in purchasing, invoicing, financials, reporting, labor scheduling. Using LinqToSql layer over POS database. Features integration with QuickBooks and ConstantContact, dynamic PDF generation. 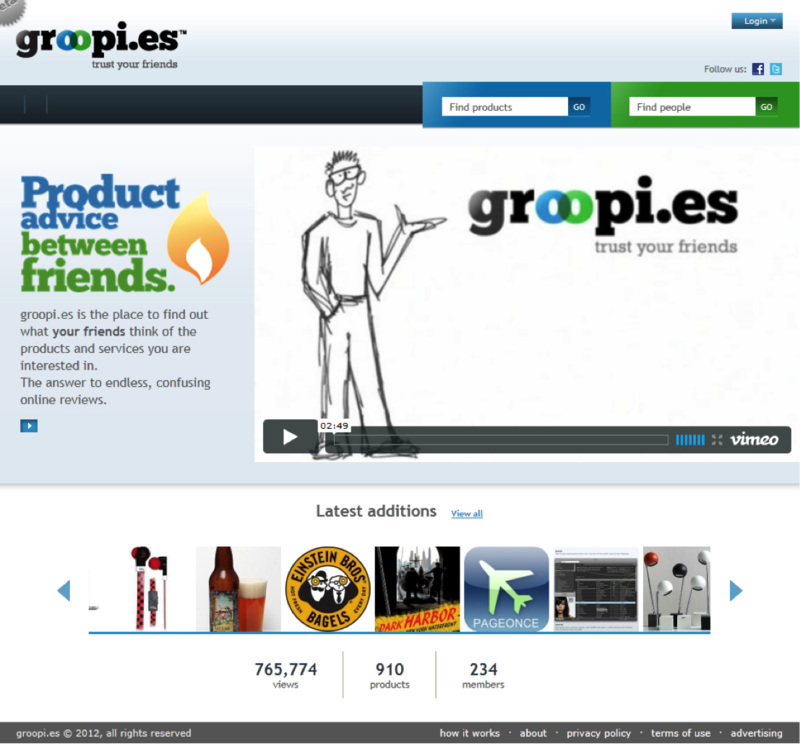 Developed UX prototypes, workflows, and data modeling for this customer-facing platform merging social media with product reviews. 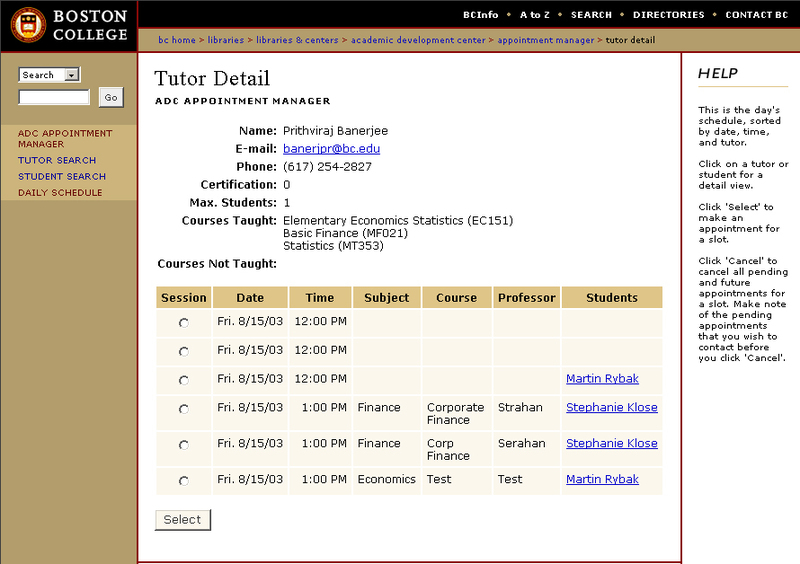 Intranet application to manage academic tutor scheduling at Boston College. Features include daily schedule view, searchable tutor profiles/schedules, student appointment history, full administrative reporting. 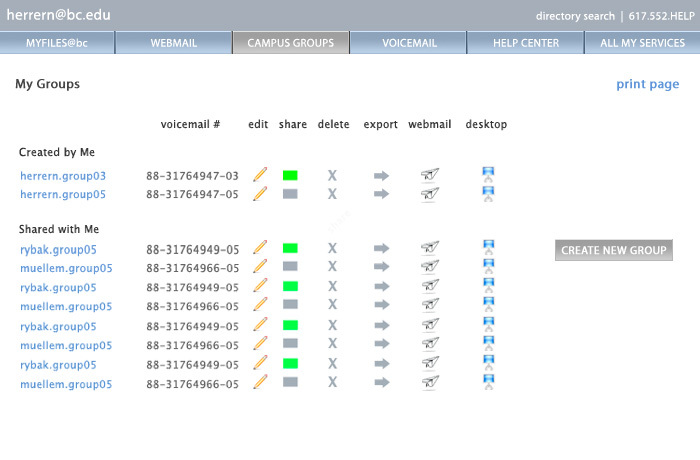 Secure access from multiple staff terminals. 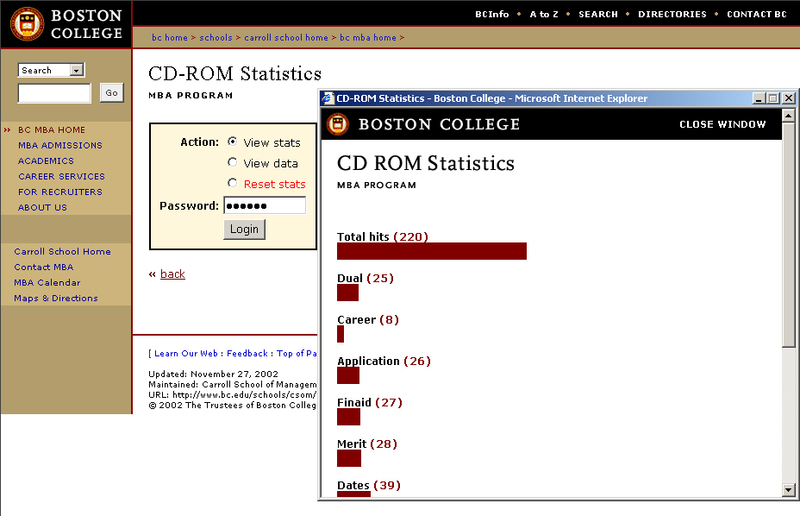 Intranet content management application to create and manage technical documentation at Boston College. Features include secure Windows user authentication and authorization, check-in/check-out, revision tracking, XML data storage, HTML generation via XSL transformation, automated FTP of documents to web server, and RSS feeds. 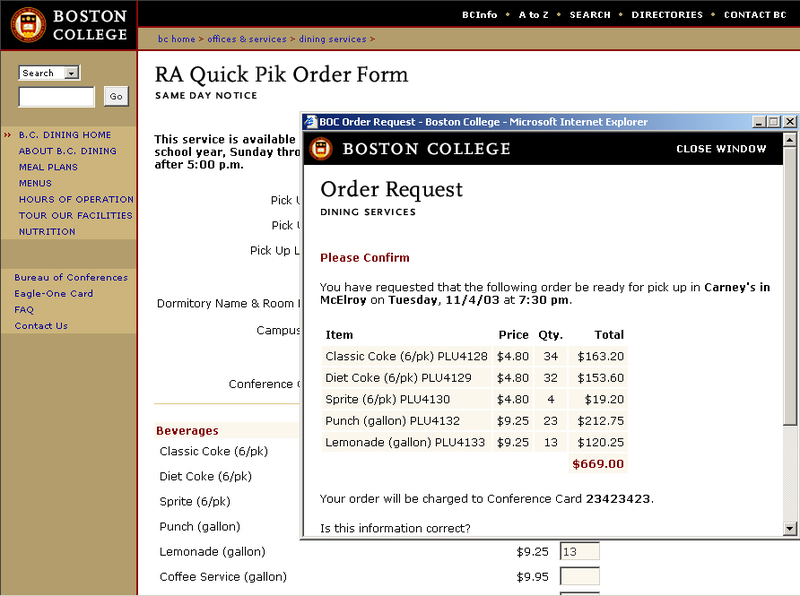 Intranet application to manage Boston College Help Desk service records of users seeking walk-in assistance. Features include real-time user queuing, searchable user history and past problem resolution logs, integration with web knowledge bases, detailed administrative reporting. Secure access from multiple staff terminals. Internet application to manage online music community. Features include member login, individualized portals, searchable member directory, message board, room reservation system, MP3 uploads. Restricted access to public, authorized access for internally authenticated members. 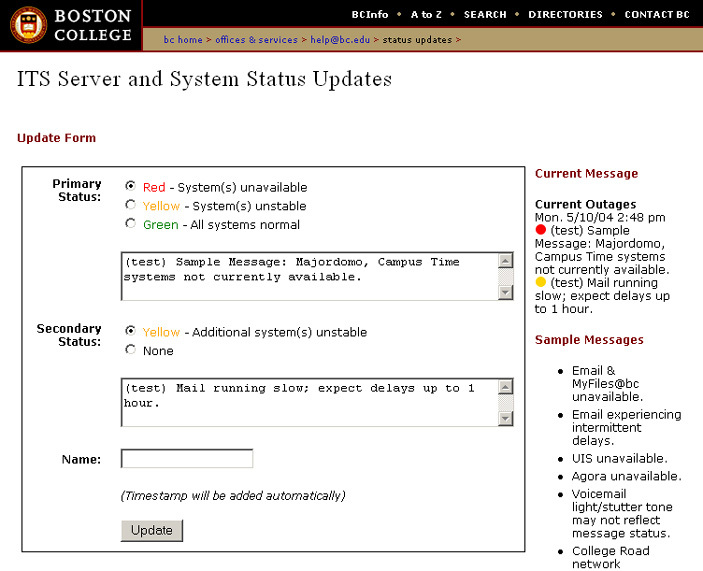 Intranet application to manage system status announcements at Boston College. SSI architecture allows updates to be displayed on any page on the web server. 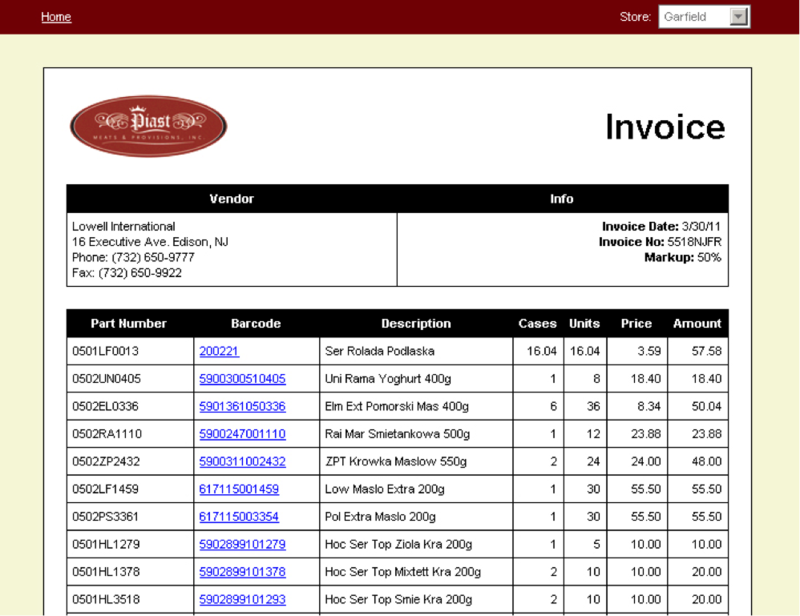 Scripted forms to validate, calculate, and preview online catering orders before being processed. 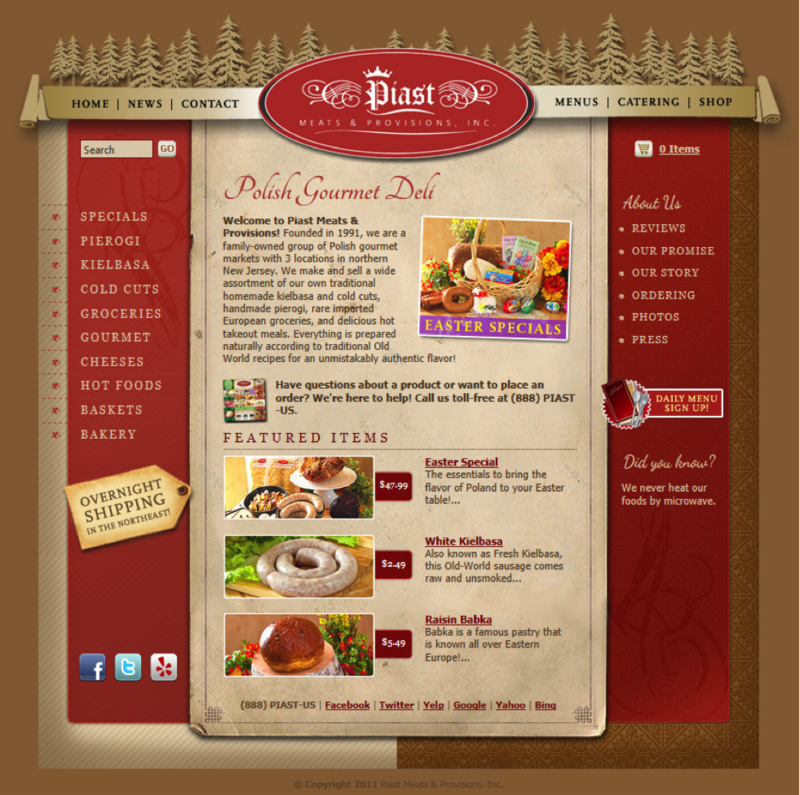 Features include menu details and configuration variables stored as HTML hidden fields for easy site administration. Scripted forms to collect, store, and display link hit statistics from CD-ROM brochures distributed by the Boston College MBA program. Features include password protection, graphical and raw data displays. 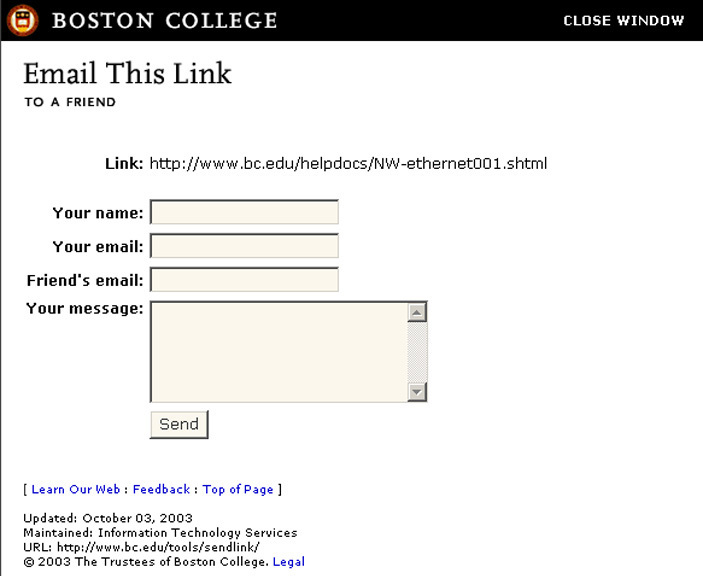 Centralized scripted page referral form that can be called from all pages on the Boston College web server. Features include submission domain checking for security, submission log for statistical purposes. Conducted formal usability testing with end-users for web-based file sharing application at Boston College. Interface improvement recommendations shared with vendor as well as with other Universities. 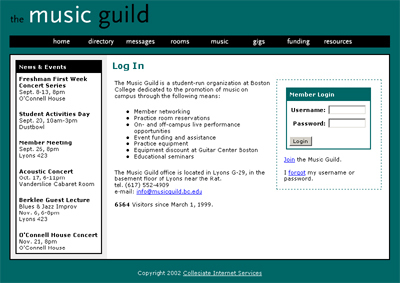 Conducted user-centric redesign of group management application at Boston College. Refactored user requirements and gathered feedback from current power users. Created storyboards and created test designs and workflows. Created custom Windows Service module to poll Oracle database and send email messages based on query criteria. Features easy maintenance of query and email text by application administrators. 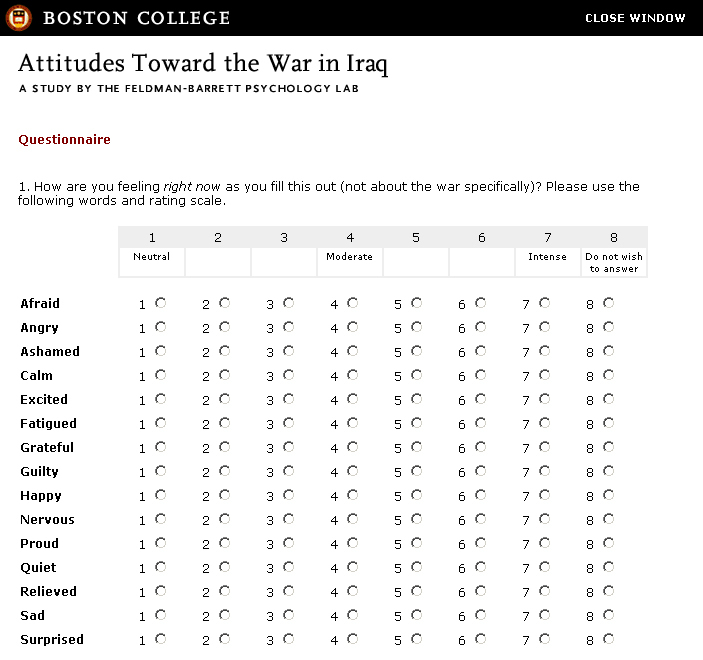 Internet application to conduct online research survey for the Boston College Psychology Department. Features include email generation for future questionnaires and auto recognition of returning participant via encrypted ID in mailed links. 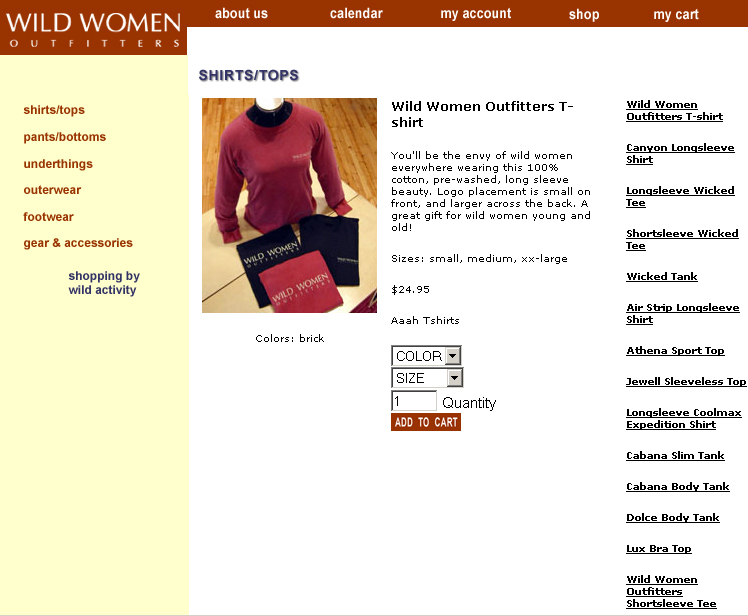 Updated and maintained e-commerce site for Boston-based clothing retailer. Fixed synchronization between site and in-house inventory in SQL Server. 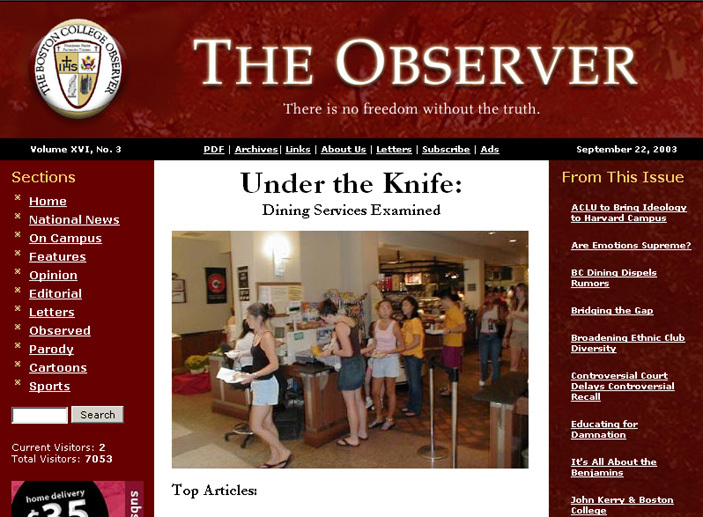 Online version of student newspaper. Modular design featuring code re-use with encapsulated controls and load efficiency using page caching. 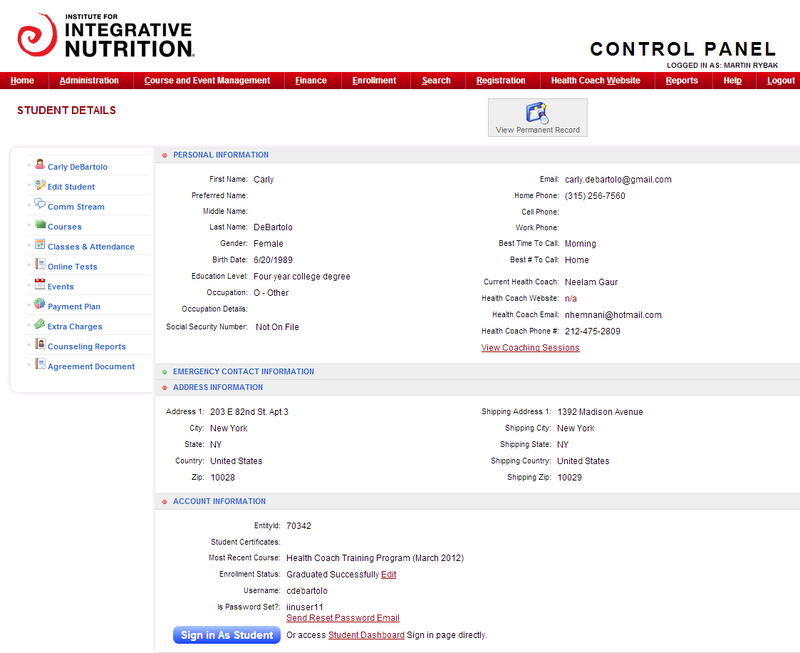 Administrative content-management interface.